There are publications by LUBOMYR created especially to help the pianist learn this technique. The freedom which this technique gives to the pianist is a constant joy for the player ---- it offers you a profound physical experience that both deepens your insight into yourself, as well as developing a special heart beat that brings health and strength to the entire body. Students who wish to learn this music should be aware that it takes much time and devotion before you can handle the higher levels. It is after all, a physical discipline. In the mid-seventies, LUBOMYR developed a fantastic new language for the piano, called CONTINUOUS MUSIC . Finding the contemporary classical music of the time to be far too theatrical and "nightmarish", he began creating a new sort of music and technique, by projecting pure chordal sounds through time, by maintaining an unbroken stream of tones that build a chain of patterned links, seamless and effervescent. This required a new and very specialised technique for the piano -- where the 2 hands became independent entities that could sustain incongruous note-patterns --- where the Left and Right side create various "currents" that combine into one beautiful "river" of sound -- perfectly balanced on the Apex of the triangular Apportment, with its Left point, its Right point, and the Central Motor of the "Third Eye". This required totally new physical AND mental capacities --- and it took many, many years until LUBOMYR could accomplish the wonderful effects that started out with such difficulty at the outset. In the very early stages, he found that there occurred substantial changes in the contact with the players' hands --- this would grow into a complete re-awakening of the body's total physical energy . It further required input from other physical-spiritual techniques, such as Tai Chi. The music and its technique grew together, since the nature of Continuous Music --- giving both freedom and time --- allowed the player to sink deeper and deeper into both his own body, and into the instrument itself. CONTINUOUS MUSIC offers the pianist something truly new and refreshing in the manner the piano is to be played. This music is based on a totally new technique of piano playing, with new kinds of mental activity required to operate the fingers --- and a new meta.physical way of experiencing the piano's beautiful sound --- one can say that Continuous Music develops new lines of contact between the mind, the heart, and the fingers. These special lines-of-contact have much in common with Eastern philosophy and Tai Chi --- where a special ENERGY develops in the body, after years of specified training, so that the pianist can, somewhat like the samurai warrior, perform "impossible" feats that defy normal imagination. LUBOMYR MELNYK has written extensively about this "energy" in his earlier book OPEN TIME , which attempts to give the reader some idea of this new and mysterious physical capacity ... a capacity that enables the pianist to perform note series at "super-sonic" speeds of over 19-notes-per-second in each hand simultaneously! Lubomyr Melnyk had a profound relationship with philosophy and the Dance as a physical training, (via the dancer Kilina Cremona) and these became integral parts of his road to discovering the Continuous Technique, the doors to which faced East. (He has always acknowledged the inspiration of musicians such as Ravi Shankar and the guitarist John McLaughlin - also known as a student of Sri Chimnoy). 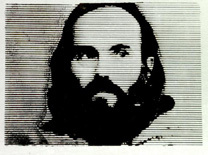 In the earlier years of developing this technique, Lubomyr Melnyk was highly influenced as well by modern dancers and their intense training and attitude to the physical capacities within the body. (Much of his work from 1975-1985 was coupled with modern dance. ).The intense physical training --- many hours per day, that dancers subject themselves to was also an inspiration to his own intense physical search for pianistic capacities. One very important feature of this music is that it offers the pianist a new relationship to the instrument. It creates a "friendly" bond between the pianist and the piano, with music that is relaxing and joyous to play ! This friendly bond is both mental and physical; it is something new to the piano world, since both students and professionals are constantly tortured by worries over performing the correct notes "without mistakes". This stress and worry is totally lacking from Continuous Music --- here, the player literally "plays WITH" his instrument, where the instrument becomes a source of joy and ease.. Continuous Music changes the player physically, mentally and spiritually : the heart beat is altered, the hands and fingers become soft and pliant, even weightless, the arms become totally flexible and water-like. This new relationship to the piano, and the new physical energy within the body, will improve even the performance of "regular" piano music, the pianist simply gets better and better! In other words, Continuous Technique also helps pianist in their work in playing Mozart and Beethoven. The Continuous Technique makes a notable difference to the physical well-being of the player, making the body sensitive to its own physical energies, the changes alone in breathing and heart-rate create an aura of good physical health within the body. It is a study that has so much to give! To begin with, the Continuous Technique will give you a wonderful sense of living joy, an amazing peace and meditation of the mind and soul and body as you play .. a happiness in the piano that is beyond description. It is not the music itself (as in other forms of music) that will give you the greatest joy, it is the very act of playing that will fill your body and soul and mind, with amazing sensations that will carry you into strange and wonderful realms. Having said this, I must tell more about the initial and fundamental elements of the contact with the Piano: for students who begin learning this Technique, much needs to be said in the very earliest stages about your contact with they keys .. why? Because the way you activate your fingers into the keys as you “struggle” with the patterns, will greatly affect the resulting sound within the flow and Continuua (in their various levels). In almost all cases (except where you are specifically and consciously trying for a hard/pointillic, loud and/or “boisterous” effect) keep the touch (with the keys) soft and un-stressed, without pushing or striking hard ---- this softness of touch (without loss of power -! !-) comes only after many years of playing C-M. These years of playing have a physical effect on your fingers, hands, arms and entire body, so that eventually, the actual flesh and muscles will soften and become pliant and living with enormous strength, like that of babies. This is why the Beginner should avoid trying too hard to “perfect” his/her touch to the keys immediately in the first periods (first year .. ? ) Instead, let the touch into the keys just flow naturally, as you simultaneously blend your mind into the created sound. The rhythms created in C-M are usually very complex and ephemeral, and should generally be allowed to live in the background of the Sound Reality. Do not think too much about the Rhythm --- it will appear on its own, without too much conscious interference from you, as your fingers start the notes in motion. For Beginners, the sense of Rhythm may appear quite strong and vociferous at first, but soon, you should find yourself swimming in a rhythmic sea of undulating planes. In the later and deeper levels of the technique, the fingers (“you”) begin to allow the various tone registers (each tone) in the Static Position music (non-arpeggiated formats), to create its own personal plane of Existence, of its own soft glow of sound/tone --- and as you play within the Continuum, these will start to shift and move about, like soft focused planes of line that weave in and out before your eyes, on a subliminal plane of view, sometimes creating a shimmering soft cloud of diffuse character, where the different “tone-levels” move around like layers of mist, in a dream. Once the fingers become so soft that you can do this, feel this, then you have reached that precious “State of Sleep”, where you move, motionlessly floating in a gentle and ephemeral sea of sound - that carries you in its dynamically balanced motion. There are no words to describe this. It is a beautiful joy, a Light Of Life that is shining before you and within you and it is so very, very, very sweet. Lubomyr Melnyk also offers technique workshops to groups and schools, to students and teachers, when his schedule permits. g) to help players to achieve greater stamina, strength, flexibility and suppleness in their hands and fingers to give the students a sense of relaxation and lack of fear in their playing. These workshop-sessions are not about "interpretation" of pieces! They are meant to help improve finger/hand/arm and general body control ... and to offer one a new attitude toward one's own playing! Part of the sessions will be devoted to the concept of "Piano-Meditation" which is meant to help one to achieve ALL of the above points.